What does Potty Training look like? Inside: Ready to start potty training? This post has it all and in more detail than you could even dream of. Here’s my tale of potty training three kids. It’s time to talk about potty training. Get ready. Potty training is a weird one. I’m not going to lie or sugar coat things. I’m not going to tell you that you and your child are about to embark on a journey full of sunshine and roses. You might. But you might not. That’s potty training. It’s a weird one. In my humblest opinion, I think potty training is hardest on us parents – we are giving away a lot of control / power. And that’s not easy for us. Think about how toddler eating habits and toddler sleep habits can make us go crazy. We can’t force a kid to eat. We can’t force them to sleep. And it drives us bonkers (well, this Mom anyways). How many times a week do you worry about how they ate or how they slept? Well, toileting is next on this list. Potty training is the day you give over control of their bladder and bowels, so to speak. And it is terrifying. 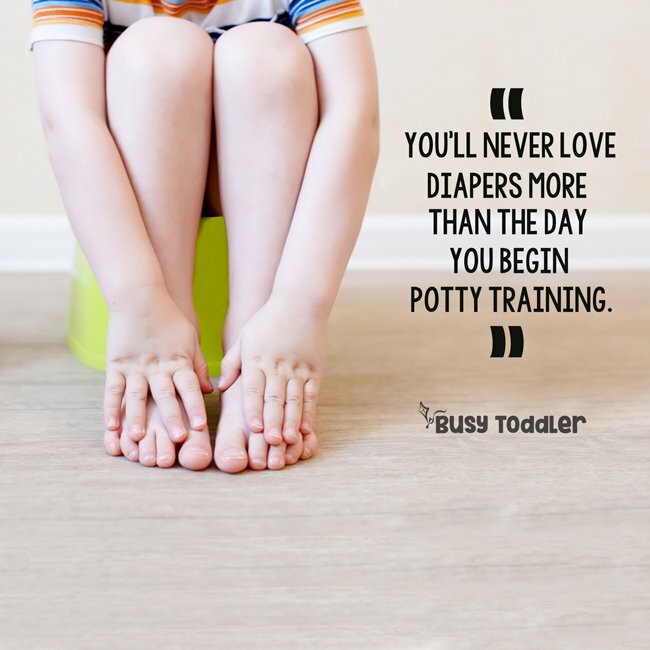 You’ll never love diapers more than the day you decide to potty train (wink). I’m not trying to scare you!! I’m not trying to be Debbie Downer Mom. I want you to know that your feelings (and fears) are valid. 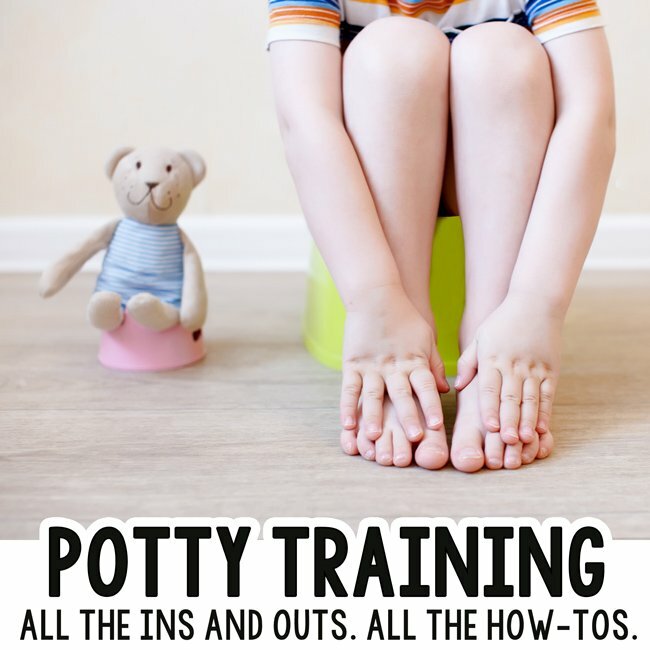 Potty training is a crazy unknown, and if it’s your first potty training rodeo – this is unlike anything you’ve ever done. The biggest secret to potty training is to be prepared. Be prepared for a shift in your daily routine. Things will go back to normal after a bit, but life as you know it is about to change. That’s not a bad thing, but you need to embrace it. Be prepared with all your supplies. Be prepared with a solid game plan, but also be prepared to call A LOT of audibles. You may need to change things up as this goes forward, and that’s OK.
Be prepared to give over a big chunk of control to your favorite tiny human. Ok lady, what’s your background? Why should I listen to you? I’m just a mom with a web site, so of course, take me with a grain of salt. But I’ve now potty trained three kids (all at 23 months old) and have lived to tell about it. AND I’m willing to talk about it. Sometimes, all we need to get our wheels churning as parents, and to figure out what’s right for our kids, is to hear how someone else handled a situation and how it went for them. So that’s what I’m aiming to do here – I’m sharing how potty training went for my family, what we did, what I learned, and what I wished I’d known heading into this game. Let’s set the stage: Here’s what “pre-potty training” looked like for my kids. Like I mentioned, each of my kid’s potty trained at 23 months – but each has a different potty training story. I didn’t set out to potty train my kids super early, but that’s what happened and that’s what worked for us. They were all ready. My two oldest were showing interest, but in no way self-potty trained. Both were curious and engaged. With both of them, I definitely taught them how to be potty trained from square one. My third took the reigns and essentially self-potty trained a few weeks before turning 2. I thought that was an urban parenting myth… apparently it can happen. He still needed a lot of help – it wasn’t some smooth sailing, without incident type process. But it gave me a new way to look at things, which is always good. TIP 1: Have a potty on-hand. Don’t introduce the concept of sitting on a toilet the day you are also asking them to pee on the toilet. Buy a toddler toilet early – we had ours out with our first born from the time he was 18 months old. He knew exactly what that potty was for…he just didn’t know how to use it. The other two had the sibling bonus of always seeing that little toilet their whole lives – they never knew life without it. It’s up to you if you want them to use a toddler sized toilet or use the real toilet (with a toddler seat adapter). We went with the toddler-sized toilet so we could take it with us if need be. TIP 2: Be open about potty talk. I know I know – this is hard for some and easy for others. Do what is most comfortable for you and your family but for me and mine…we have an open-door policy (if you know what I mean). 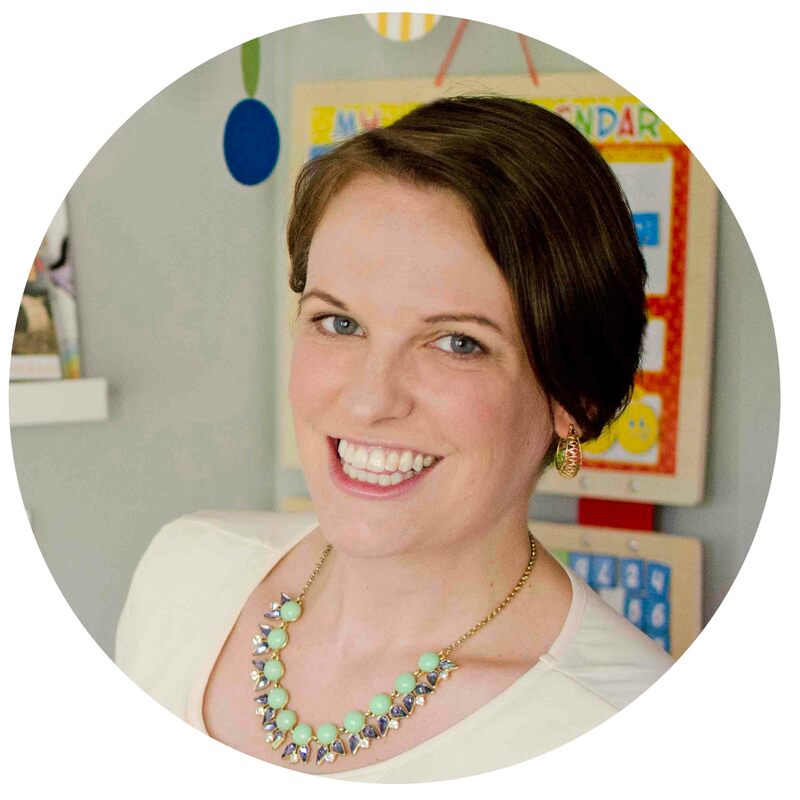 Long before potty training is even a blip on the horizon, I’m talking to my kids every time I use the loo and often narrating the process. I know this is TMI but this is a potty training post so technically, you agreed to this. We want to normalize the process. We want to remove mystery. We want to make using the bathroom as stress free, easy breezy as possible. Them being an intimate part of your toileting leading up to their toileting is more helpful than you’d think. TIP 3: Set them on the pot from time to time. Even before you “set the date” to potty train, start getting your toddler comfortable with the idea of sitting on the toilet. Have them take practice sits. Encourage them to try. Again, normalize it and keep it light. TIP 4: Pick your date. Don’t just jump in on a whim. Take it from someone who has accidentally jumped in to potty training THREE TIMES (do as I say, not as I do…). Pick a date. Circle it on the calendar. This gives you time to gather supplies, make a game plan, and avoid racing to Target at 9 pm & scouring the Internet for tips at midnight (been there, done that). It also gives you a time to mentally prepare, be in a good space, and have some control over what’s about to go down. Truth: the first three days are the hardest. But then it gets a lot easier. My best advice: power through the first three days. Hunker down. Potty train with all your might and with total fidelity, and don’t give up. You can do this, and so can they. Billions of parents have walked this road before you. You will make it through it. But, you have to be willing to do this completely. Really, really commit to the process. Be confident in yourself. Be confident in them. And really commit to being home for these first 3 days. I know this is rough. I’ve lived it. It’s hard. But plan to not leave your house with your potty training child for 3 full days. I’ll explain why in a minute. Consider starting this process on a Friday so you have a full weekend to sit home, and potentially some company to sit with you. Potty training can be a tough mental process for both parent AND child. You have to be strong. Keep it together (at least in front of them). It is ok to cry in the garage. I would know. BUT WHAT IF… what if it’s a total bust and you really think you made a mistake? Hit the brakes. Check out my full answer in my Potty Training Q & A. What do the first 72 hours look like? Let’s actually break this down even further and start with Day 1. You need to sell this. Not all kids are going to be excited about it, but kids take their cues from us. Our excitement will be infectious. I may be scared out of my wits and completely drowning in nerves, but I will NEVER let them know. In their minds, Mommy is 100% invested in this and so excited. Whatever this “potty training” thing is, Mommy thinks it is awesome. When they wake up on Day 1: The Ceremonial Throwing Away of the Diaper. And take them right to the toddler potty. There’s no turning back now (lol). Have them sit on the potty and encourage them to try and get some out. This probably won’t happen – this is just your opening offer (wink). You will now live the next 72 hours by a clock. Buckle up! We are officially potty training. Remember, you are staying at home with this child and I know that’s a big commitment, but for the chance to be diaper-free… well, there’s a lot I’m willing to do. The Bullet Points of Day 1. On Day 1, set the timer for 15 minutes. Every 15 minutes, take them to go pee. If they go, restart the timer for 15 minutes. If not, set it for 5 minutes and take them every 5 minutes until they pee. Your child needs to be naked from the waist down (we don’t want to be fooling around with pants yet and underwear feels like a plush diaper, so naked. Naked from the waist down.). Keep your child hydrated. This might mean breaking your juice-free policy or busting out some lemonade. This isn’t a change in your lifestyle forever, but for today – you need a child with a full bladder. Try to keep them sitting for at least 10 seconds. They might not sit long in the beginning, but they will eventually. Once they get that first potty in the toilet…. You are going to celebrate like you just won the Super Bowl. Win an Oscar for this celebration performance. THIS IS HUGE. I’m a big believer in giving a small candy prize to incentivize potty-ing, but you do what’s right for you. Giving an M&M or two is HUGE these first few days, but somehow, it magically fades away on its own. Don’t worry that you might need to pack candy prizes for his Kindergarten teacher to give out. But if you catch them starting to pee, carry them to the toilet so they can start to understand that the sensation to pee and being in the bathroom goes together. For the mess: make a big deal about it, but not in the shaming / mad / angry at them sort of way. Remember this is new. Think of how it would feel to have someone yelling at you for getting something wrong the first day / time you ever tried it. That would be so hard. Don’t yell and shame. Be understanding. This potty training dance continues all day. Stay close by them all morning. Don’t let them stray far from you. Make forts. Do sensory bins. 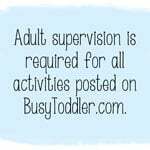 Find some easy activities to pass the time. And keep setting the timer, keep them hydrated, keep trying. Be Dory – just keep swimming, just keep swimming, just keep swimming. Things were always up and down for me the morning of day 1. We’d have some hits, we’d have some misses. But what do you do about nap time? For me, I’m not going to rock every boat on day 1. Potty training is a big skill and learning to potty train while you’re sleeping is even harder. In our family, we do Pull-Ups at naps and nighttime. I DO NOT call these diapers. We call them “naptime potty pants” or “nighttime potty pants”, and they are clearly very different from diapers. After nap time, we pick things back up where we left off – and the timer is back on for every 15 minutes. Remember when I said we don’t leave the house? I mean it. Right down to staying inside. Being outdoors even just in our backyard was too much space for me to cover, supervise, and keep on potty schedule so – inside we stayed. And Good Morning to Day 2! With both my oldest kids, the morning of Day 2 was hardest. It was a little like Groundhog’s Day and just a repeat of what we’d done the day before… some hits, some misses. It was a little more fatiguing on me because I’m doing a lot of parenting during this – there’s no time to sit and breathe. But we kept trucking. I kept the faith. I wanted to see the first 72 hours all the way through with total commitment. Keep them naked, keep them hydrated. Set the potty timer again – but for day 2, I set a 20-minute timer. I also definitely called my best friend for an emergency Happy Meal delivery when we needed a pick me up. It’s ok to do that. Then we had a breakthrough. After nap time on Day 2, we hit an upswing. The afternoon of Day 2 was when both my oldest kids took themselves to the bathroom without needing the timer or a reminder from me. That’s the moment you’re waiting for. You might cry. You will do a dance. It is everything and you will breathe again. This is working! On Day 3, things got smoother. More hits than misses – lots more hits, and we started venturing into the backyard and gradually setting the timer longer and longer (30 minutes… then 45 minutes… then an hour….). I didn’t keep them overly hydrated anymore – I started pulling back and moving us back into normal life. If you want to let them play outside a bit REMEMBER: they need to pee before they head outside. Send them out as empty as possible. Set their little toilet outside with them. When do they finally wear pants?! You’ll figure out when pants are right for your kiddo – underwear too. Just remember that underwear and pants can feel A LOT like a diaper so don’t rush it. If you’re home, naked makes life really easy especially if they aren’t great at pulling down their own pants. For my oldest, I did loose pants with no underwear for about a week. He hated underwear – it was a tough sell. For my daughter, she was right into pants by the end of day 3. She was ready. For my youngest, (the one who self-trained) it took TEN DAYS to get him into pants and underwear, and understanding not to wet them instantly. And now that the 72 hours is over…it’s time to (kind of) re-join the world. Leaving the house is going to look different now. Your child is still potty training and things are fragile right now. Keep helping them learn, keep helping them find success. Think about where bathrooms are. Think about how long your errands are. Make sure they pee before you leave the house. And keep a bag of extra clothes in the car. Don’t push things for at least the first week. Try to keep things easy and light – a quick trip to Target is probably going to be a better bet than a 2-hour car ride to an amusement park. Remember, life will be normal again, but take a minute to break the routine for your child. Even with my third born, the big kids and I locked things down for about two weeks and gave him his time. We didn’t go on big adventures away from home. We mostly stayed put, stayed close to the house with our errands, and made a lot of trips to the bathroom as a family (lol). My youngest son’s life just took a big change and we wanted to honor that. Ok here’s the ugly truth about potty training. Potty training and poop training are two very different skills. And sometimes it can take A YEAR for a child to fully learn how to handle pooping. Be supportive. Accept that you are going to clean up poop from places you don’t want to clean up poop from and make peace with that now. Some kids get it fast – my daughter had no problem with pooping. She potty trained and poop trained at the same time. My oldest took about 7 weeks to get poops into the toilet. My youngest is two weeks into potty training and I think we are weeks away from being poop trained. What am I doing? Not shaming him, not yelling at him. I’m being supportive and helping him learn that pooping on a toilet isn’t scary. For now, sometimes he poops in his underwear and sometimes he poops at naptime in a Pull-Up. I’m just happy he’s pooping. We’ll get it in the toilet eventually. The worst thing is for them to hold in their poops, because that is a cycle that’s hard to come out of. I know that potty training is a lot. It feels like the Everest of Parenthood. But it isn’t insurmountable. Plenty of people have summited this mountain before you. We’ve all felt the nerves, the confusion, the terror, the frustration, the excitement, the relief, the pride, and the total joys of potty training. You will make it through this, and you will be diaper free. It’s right on the horizon for you…. You’ve got this. Have more questions about potty training? 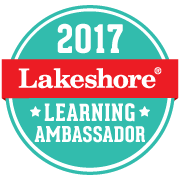 Check out my FAQ page. Thank you so much for sharing this! I just potty trained my first kid this week (she’s 23 months) and used your post on how to do it. We had an unsuccessful attempt a few weeks ago and this worked for us! Thank you! Thank you! Thank you! I didn’t have a clue what I was doing and this made sense to me. She’s doing amazing. We’re on Day 5 and accident free for the last 2 days. And I think your website is amazing and I’m so grateful you’ve taken time to share it! Serious gamer changer as a mom.